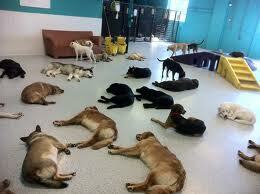 Doggy Day Care and Night Care in the Berkshires! 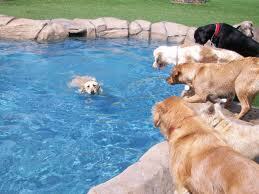 We research and list a selection of doggy day care with good reviews in the Berkshires! Get a Groupon Pet Care Deal for the Berkshires! 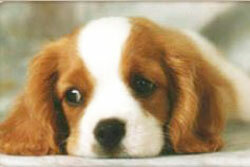 Looking for pet care in the Berkshires for Grooming and Boarding? Get a Groupon! Love us and leave us was started by Renee DeRagon in 2006 as a safe and fun place for dogs to be while their owners were at work or on vacation. 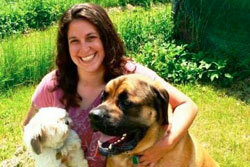 Renee is an ABC certified dog trainer, dog lover and owner! All our staff is pet first aid certified and are true dog lovers! Our main priority is insuring your dog's safety and happiness, and our greatest reward is seeing our pack return excited to come in and play! 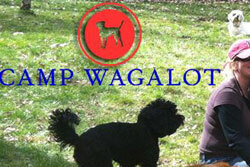 Camp Wagalot is a social-boarding and daycare playcare facility specializing in socialization for dogs. Camper-dogs have access to hundreds of acres to hike and almost 20,000 square feet of fenced in play yards where each dog can enjoy meeting new friends. 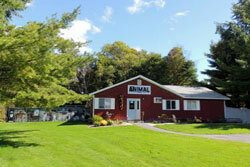 The Animal Inn is a full service boarding, daycare, and grooming facility where they love taking care of your dogs and cats while you are away and keeping them safe and happy. offers professional pet sitting, dog walking, private pet boarding and private daycare services in southern Berkshire County, MA. a friendly and professional pet sitting service nestled in the Berkshire Mountains of western Massachusetts. 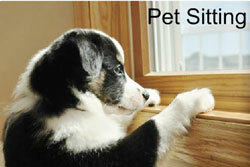 We specialize in providing dog walks, full service pet sitting and pet taxi for your pets. 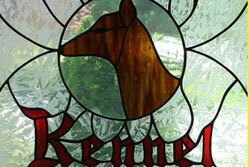 Country Kennel is a small, home-based dog boarding facility located in Lee, MA serving all of Berkshire County and beyond. Located only 4 miles from Exit 2 off the Mass. Turnpike, we are positioned within the gateway to Lee, Lenox, Stockbridge, and the various other towns located in the heart of the Berkshires. The Berkshire County Pet Sitters Network is a group of professional pet sitters located in Berkshire County, MA. 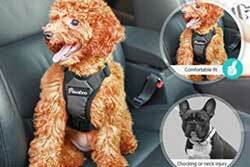 Rover.com is the nation's largest community of 5-star pet sitters and dog walkers. All new sitters pass a basic background check. All sitters provide a detailed profile and personal information. All sitters are approved by our team of sitter specialists. Dog boarding, walking, house sitting, day care, drop-in visits.